The writing and design project that became this book began in approximately April of 2013 while I was living in Thailand. The advent of the SpaceX Falcon 9 and Dragon capsule, and the Bigelow Aerospace B330 (then the “BA 330”), led me to begin formulating ideas for a Mars mission architecture that I believed had certain important advantages over existing proposals. I started writing up the ideas to share with friends online, then created the Facebook group “Mars Settlement Research Organisation” as a way to discuss the plan, and Mars settlement generally, with the online community. 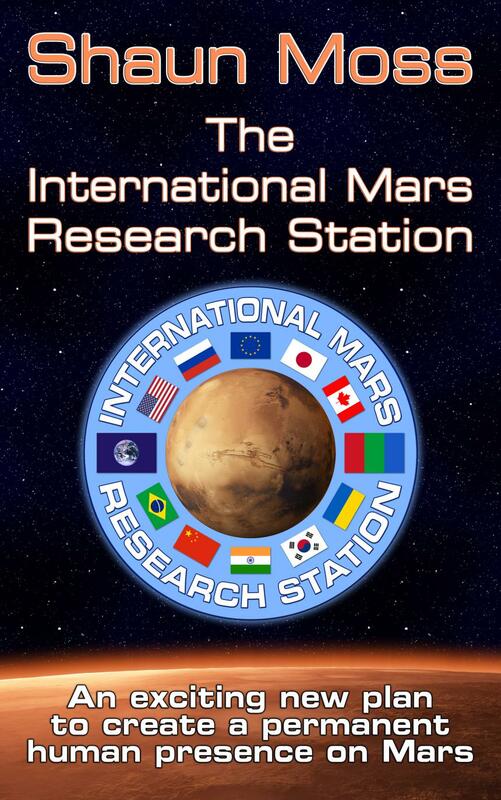 Therefore, even though IMRS (International Mars Research Station) is only one of hundreds of topics discussed by MSRO (now with over 6000 members), in my history they are strongly linked and have evolved in parallel. The seeds of books are usually sown long before any actual writing starts, and such is the case with this one. I’ve been interested in settlement of Mars and a participant in the Mars community ever since reading Red Mars by Kim Stanley Robinson and subsequently joining the Mars Society in 1999, and since that time have been learning about, and developing ideas for, human exploration and settlement of the red planet. Working on this project led to my TEDx talk about IMRS and its architecture, in April 2014. That talk, and other presentations and interviews by me, can be found at my YouTube channel (https://www.youtube.com/user/mossy2100/videos). The book has some shortcomings, for which I apologise. For starters, this is an exercise in aerospace engineering being attempted by a computer scientist, which is something like a mechanic trying to build a house. Many aspects of the plan and designs are less developed than they would be by someone with more experience or resources. Thus, rather than a fully completed plan, this work is offered simply as a group of related ideas that will hopefully interest or inspire others with greater skill and experience. The intention is to trigger further discussion. The layperson may find that the book is overly reliant on maths, acronyms and chemical symbols. I have tried to ease the pain of these inclusions as much as possible; however, it’s difficult to write a book like this while excluding them altogether. Calculations can safely be skipped over without loss of meaning; they’re included mainly for the benefit of friends of mine in the Mars community who will wonder or ask how I worked out this or that result. As for acronyms and initialisms, they’re an inherent feature of space community dialogue, and hard to avoid without being overly verbose. I couldn’t include everything in the book that I would have liked, otherwise you wouldn’t be reading this now; it would still be living within the virtual confines of Scrivener. This project had no clearly definable end — other than, perhaps, a permanent human presence on Mars — and I could have happily expanded on any one of the subtopics or designs presented here with progressively greater detail ad infinitum. Further complicating matters, science and technology are advancing so rapidly now that new ideas for improving the plan suggest themselves almost weekly. When explaining this problem to friends, 1.5 years into the project, they all suggested saving any further ideas for a future edition or sequel, which I accepted as good advice. Despite these imperfections, I hope you will enjoy the book. I believe the principles underlying the development of the mission architecture, the plan to settle Mars as a truly international effort, and at least some of the vehicle design concepts, offer a few unique contributions to the evolution of our quest to put human bootprints on Mars. For the Mars-layperson, I hope the book will provide an effective introduction to many aspects of the challenge of sending people to the red planet and bringing them safely home. I think almost anyone can learn something about Mars from this book. I’ve used British English and the metric system throughout; sorry, America. During the coming year I will try to have the book translated into the languages of the top space-faring nations. Like any good software developer, I would like to solicit user feedback that may help to inform future efforts. Therefore, if you have any comments or suggestions, please submit them shaun@astromultimedia.com or message me on Skype, Facebook or Twitter (username is mossy2100 everywhere). You may also like to join the Mars Settlement Research Organisation or the Mars Society.